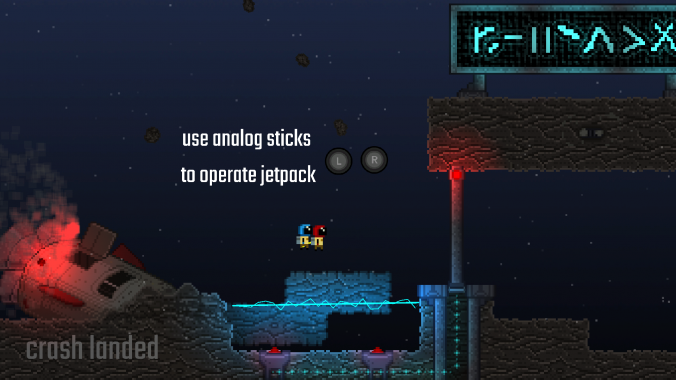 spaceBOUND is a cooperative zero-gravity puzzle-platformer in which two astronauts, bound together by a tether that shares oxygen between them, must navigate dangerous obstacles and complete puzzles while exploring the asteroid upon which they crash landed. ​Explore, solve, and survive together. We are taking the puzzle-platformer genre and giving it a unique cooperative twist. In space. The original prototype for spaceBOUND ‘Tether‘ was created and presented at the Indie Galactic Space Jam 2016. After four months of pre-production and planning full time work on spaceBOUND began in January 2017. A brutally challenging zero-gravity puzzle platformer that can be played solo or cooperatively (Same screen couch coop, or Online!). 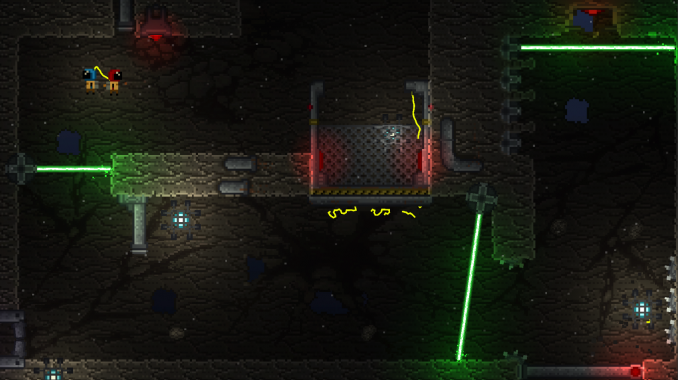 A completely physics based game, from the asteroids to the tether. Discover the mysteries of the abandoned mining facility, and find hidden collectibles. Solve puzzles cooperatively, teamwork is the key! Face 5 different boss levels that put everything you have learned to the test. My first gaming experience I distinctly remember is calling my father while he was at work asking him how to mine gold in the original Age of Empires. I was about five years old at the time. I originally wanted to be an animator, so I took some animation classes in highschool. We were fortunate enough to have a small game development program, and that is where I was exposed to programming. In Highschool I didn’t use very many dev tools, just programmed in Java. Now I used Unity, UE4, and I program in C#, Java, C++, C. Programming is fun. 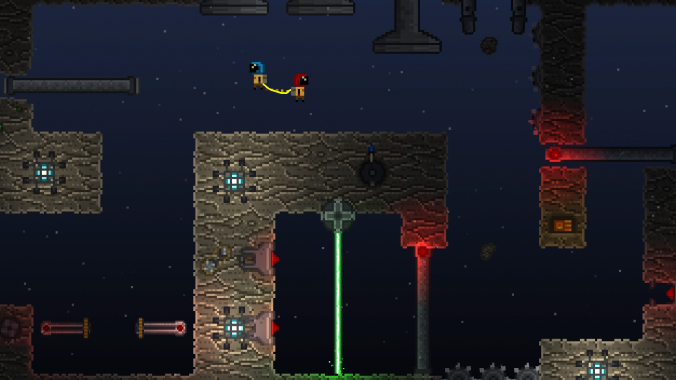 Our game uses a lot of physics. Our tether between the players interacts with almost all the objects in the game. So when we decided to make the game direct connect multiplayer on the PC we had some pretty big hurdles to jump through. 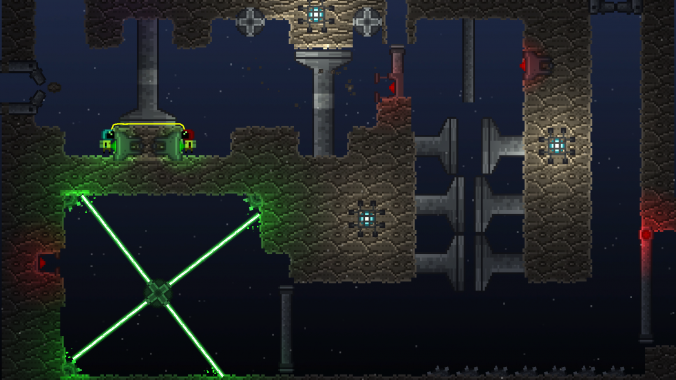 Getting a lot of physics to sync up can be a pain! We joke a lot about what is next, but for right now we are focused on making a good game. I worked on ‘Tacopocalypse’ with Cherry Pie Games and together we have made a few apps. We also like to prototype a lot. I guess I have to say that my favorite console was the original Playstation. It was my first console, and I loved it. But before consoles, I was playing on the PC. I’m not sure what kind of computer we had, but it ran Windows 95! Oh man, this is tough. I would have to say it probably isn’t the worst game I’ve ever played … but the mostdisappointing game I’ve ever played was Spore. It was the first game that I became a huge fanboy of and even ordered the galactic edition. Sadly, the game was a hollow shell of what was promised. A childhood lesson of “beware the hype”.